This week, I took 2 half days off instead of a whole day. My thought was that this would give me more "face" time at work, and also give me more afternoon time to get things done, partially motivated by an appointment I had on Thursday and a party I was making something for on Friday. Well, it was a huge mistake. First of all, any day you go into work is a work day. Second, time tends to creep. So, I spent more hours at work than I initially planned to. I ended up both not getting things done at work and not having time at home. That is what we call a lose, lose situation! I did manage to get my apartment cleaned on Friday. I did all those "extras" I only do every so often, such as flipping the sofa cushions and vacuuming them. 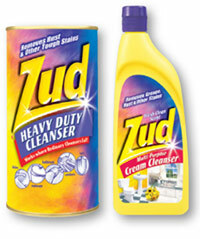 I also used my new cleaning stuff bought last week at Logan Hardware: Zud. It claims to get rid of stains other abrasive cleaners leave behind, and it does. My tub is a royal ugly mess. The porcelain is wearing away, I guess, and it's stained. The Zud still didn't get it all off, but I think after a few weeks, it will help. It did start to abrade away (is that a word?) the remaining adhesive from this gross stick-on tub liner that was on it when I moved in. Highly recommend. And, it's a relative bargain. I think I got it for $1.79 for a small container. It's here on Amazonfor $1.99. Dagnabit! The Chips Tricked Me!